“Béa, I don’t get it. Your blog is quite interesting but… what exactly is playDUcation?” I’ve been asked this a number of times now. Let me try to answer this question right here and now in Berlin. I started taking on education as a life task by setting up the Phorms schools at the age of 37. Creating and leading an educational enterprise has been the most intense, rewarding and creative time of my professional life thus far. My deepest experience was seeing what children and professionals are truly capable of achieving. What you need is the right atmosphere, enthusiasm, positive feedback and a playful sense of learning and working! Now that I’ve become a “Phormer”, I want to take these elements further. I’m also allowing myself a break, some time off to breathe and regenerate. Of course I could have simply gone to a sunny beach and enjoy snorkeling. But Basti’s education expeditions across Germany and the USA gave me another idea. Instead of going on an island vacation I really want to seek and discover. So I decided to travel the world, find places of playful learning, look around, talk to people, take all the impressions and share them online. By seeing how people react to this blog, to our tweets and on Facebook I begin understanding how all these different communities work. I learn by trying things out and playing little games. Last week I cut and edited my first own video. I find great websites and follow bloggers, creativity experts, geeks and gamers. I switched from PC to Mac and I’m just observing myself how I deal with doing things in different ways than I’ve always done. I playDUcate myself. So playDUcation so far is an idea. An exploration. An experiment. playDUcation is a quest about how we will learn in the future. playDUcation is a treasure hunt for inspiration. playDUcation is an invitation to renew beliefs, methods and behaviors in education. playDUcation, well nourished, can become a movement. 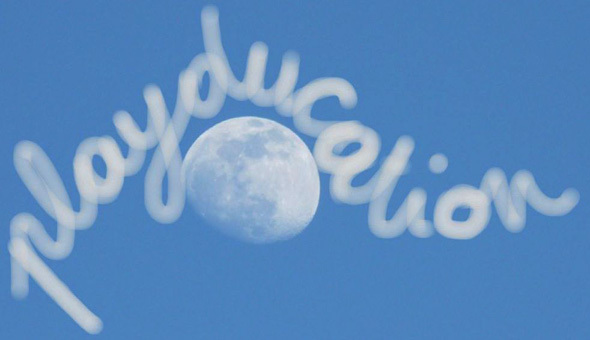 With the help of education experts playDUcation could become a new learning approach. 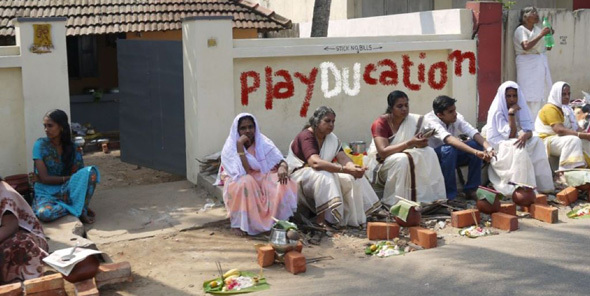 And at a certain point, playDUcation will start providing educational offerings. I’ve got a couple of ideas for businesses. I once said that I believe that besides energy, education is the biggest growth market in the world. But for now I want to take my time to develop this offering based on a deep and broad understanding of what playDUcation is and can be. I hope you’re joining us on this journey!